Inbound marketing has essentially turned the process of marketing on its head. No longer do businesses have to go out and get customers. Instead, this seismic shift means that the customers come to the them. That’s not to say that inbound marketing is passive, though. Instead, it’s a careful orchestration of specific elements meant to first make businesses visible and recognizable so that they can attract leads, focus on converting those leads to customers, and then retain previous customers while they repeat the process and attract new ones. Inbound marketing requires careful attention to detail and yes, some elbow grease to keep things going. What’s different about inbound marketing is that its elements or core services work in synergy together to first make a business visible and recognizable online, and then on attracting customers. Without these techniques, businesses are essentially invisible on the Internet so that customers can’t even find them. With them, businesses can be unstoppable. What are these four core services? Each of these four elements build upon and work in synergy with each other to build businesses’ online presence and customer base, and then make sure that success continues and grows by analyzing and measuring marketing efforts and repeating the process continuously. The first component to inbound marketing is traffic generation. No online business can succeed if customers can’t find it. There are three strategies used to build traffic. They are: Search engine optimization, content creation through blogging, and social media sharing. Search engine optimization uses keywords both in on-page content and in backend code. Shis allows search engines to identify a business’s website and index it for search engines so that it will show up in listings when customers search with those keywords ( the higher the ranking, the better). Research must be done to ensure that the right keywords have been chosen to best target a particular business’s niche and customer base. In addition to choosing the keywords initially, rankings and traffic must also be continually monitored for each keyword to make sure it’s effective. If not, they should be changed so that the business’s desired traffic volume is established and then remains steady or grows. In addition to that, though, one of the best ways for a business to stay fresh and visible on the Internet is to start a blog and update it three or four times a week. Each time a new blog page is created (especially with industry-specific terms, keywords, and other relevant content), it’s another opportunity for the search engines to rank that page in its listings. The more fresh content (and therefore, fresh organic website links), the more visible websites become and the more visitors are attracted. 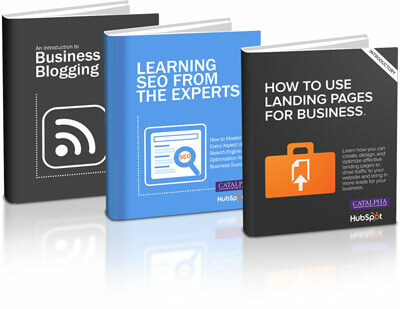 Blogs are also a way to connect with customers and increase their knowledge of the business because the blogger-owner owner can discuss anything on them – the competition, new products and services they offer, etc. Blogs should be written with natural conversation in mind instead of stiffly “building around keywords,” but their language should still be specific to the industry and focus on industry terms, as well as on customers’ discussions, needs, or topics they want to know more about. Business owners can gain even more exposure (and more organic links) by making full use of social media so that every blog post gets seen. Blog posts should be shared on social media sites like Facebook and Twitter. Readers, too, will increase exposure: Every time they share a post, it creates a link that directs back to the business’ website. Adding sharing capability allows readers to share blog posts with followers, all with a single click. All of this builds organic links, further improving search engine ranking and visibility – and more success for the business owner. Search engine optimization, content creation through blogging, and online lead generation are all traffic boosters, but inbound marketing’s job is to make that traffic relevant. That is, that website traffic has to attract visitors, yes, but those visitors then need to become leads, and those leads, customers. That’s where online lead generation comes in. Traffic generating techniques like blogs are great for increased traffic and visibility, but they don’t require visitors to commit to anything. By contrast, lead generation uses specialized premium offers like webinars and ebook downloads linked to call-to- action buttons that will then require visitors to fill out the form to access the content. It requires a certain commitment, and shows that the visitor is more than just a casual passerby. Instead, the visitor becomes a lead. Inbound marketing nurtures that lead by using both human and electronic follow-up techniques to stay in touch with that lead, entice with further offers, and ultimately, to make that lead a prospect and then a customer. This is the most efficient way to utilize online lead generation. Businesses today should see their websites as platforms that facilitate growth, and the marketing efficiency presented by inbound marketing techniques is both undeniable and absolutely necessary. In regard to sales, the leads that are generated from premium, customer-targeted content are productive because they come from targeting a prospect’s needs and then seeking to address them. Once leads have been generated, inbound marketing’s next focus is on converting those leads to customers. Businesses must have lots of targeted content throughout all areas of the “customer’s sales funnel.” Educational information like industry trends and how to blog posts draw visitors to the top of the sales funnel, but in order for them to be drawn in, they must be given offers that are tied more closely to a business’s products and services. The content must also be clearly presented to leads so that they will ultimately become customers. Every visitor that accesses this targeted content should be followed up with in either human or “automated” format. Part of the follow-up can include content offers that go even deeper, so that leads are drawn into exploring even more content. They become self-qualifying prospects because they opt into these offers, which come to them through email marketing and lead nurturing. This content is attractive to leads and should be available to them, since this content and the content previously offered caused their conversion. Content presented should continue to help leads understand how their problems or needs can be taken care of by using the client’s products or services. Lead nurturing and segmented e-mail campaigns can target these more efficiently after they’ve converted; after that, the focus should be on presenting actions to prospects that will ultimately generate sales. A good inbound marketing agency that is familiar with inbound marketing techniques will be able to detail how content feeds and nurturing will allow them to attract converts, and ultimately retain customers. In order for businesses to achieve and then repeat online successes, these marketing techniques (and their important metrics) need to be monitored continuously, ensuring that quality sales ready leads are the order of the day, that they convert to customers at a high rate, and that lead nurturing sequences, measured click through rates and segmented email blasts are working to attract the right prospects – those who will become customers. Today, marketing has changed. Indeed, a seismic shift has occurred in that businesses are changing from isolated and geographically limited brick-and-mortar operations to establishing operations online, as well. In order for this to work, they must also change how they market themselves. Instead of going out to get customers, they utilize inbound marketing techniques to draw customers to them (perhaps with the help of inbound marketing experts). They do this by taking full advantage of inbound marketing’s four core services: Traffic generation, online lead generation, lead conversion, and analysis and measurement. These four key components combine to become a logic driven, powerful marketing process that gives today’s successful business owner an undeniable and limitless return on investment. 75 Stats That Will Convince You To Start An Inbound Marketing Program on Catalpha’s Marketing Insights Blog. 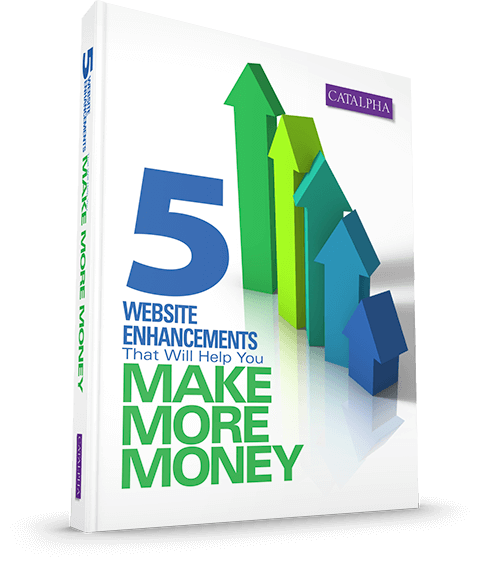 Don’t Waste Money With An Underperforming Website! Download this free resource and put these improvements to work for you.